1918 Jun 26. Commissioned . Army Cyclist Corps. The undermentioned Cadets to be temp. 2nd Lts. 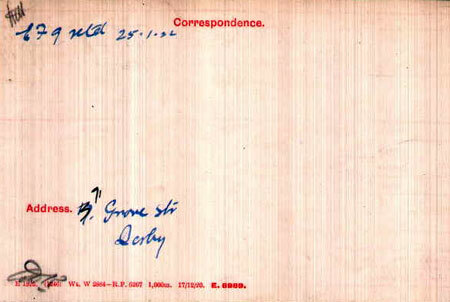 1924 Jan 26. Reserve of Officers, General List. 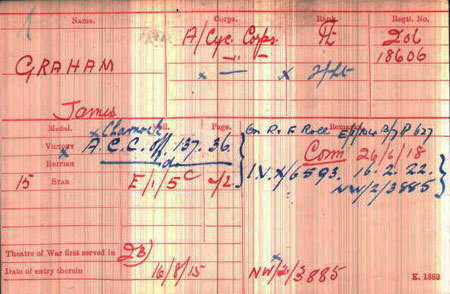 2nd Lt. J. C. Graham to be Lt.
1947 Oct 28. Gazetted. Post Office: Postman in London. -(Salary Scale of Class) James Charnock Graham (age 55) 22nd. Promoted from the unestablished class, having attained the age of 55. The age is correct.